So today we are talking Shabby Chic Weddings, Shabby-chic is difficult to describe in just a few words, but it’s a forgiving style that leaves lots of room for your own unique tastes and decorating touches. It’s a warm and inviting space, full of things that are memorable, treasured, upcycled and comfortable. From lace to mason jars and chalkboards get everything you need to make your wedding dreams a reality! Find cotton doilies, burlap, white glass vases in vintage styles. Mason jars-These jars are extremely versatile — they can be used as vases, candleholders, or even drinking glasses. Lace- Small details always count! Layer your tablecloth with lace to highlight your floral centrepieces. Mis-matched crockery- incorporate an assortment of dishes for a visually exciting way to add texture and patterns to the table. Mix and match dish sets to get this look. Vintage Cake Stand- Let your beautiful wedding cake be the center of attention at the dessert table by placing it on a vintage cake stand. Birdcages- Birdcages are a very popular accessory for wedding and can be used in so many different ways. Bunting- DIY bunting that looks a little frayed and unfinished is the perfect way to do shabby chic. Favours- Little jam jars full of sweets and treats, with pretty fabric printed lids are another great way to give your guests a thank you without spending a fortune. 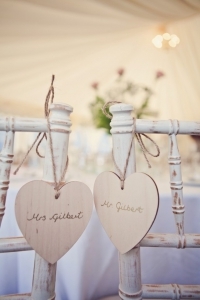 We love Shabby chic so if this is the look you are going for why not contact the Niche Events Team and see how we can work with you to create the perfect shabby chic styled wedding.